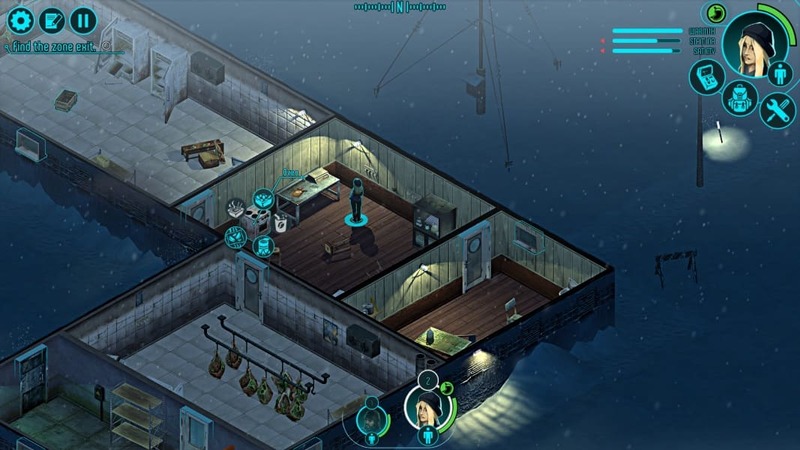 Here you can download the game “Distrust” on your PC without registration and for free. To download the official version of the game on the computer is very simple, you can do this by clicking the button Download Game. You can get the key to the game “Distrust” after starting the game by clicking the button Remove the time limit. Strange and frightening events occur at a distant Arctic station where regular scientific experiments on observing weather and natural phenomena are performed. Something or someone drives people crazy, and some scientists disappear into thin air, as though they were absorbed by unknown and unseen force. A helicopter with a rescue team, sent to save Arctic explorers, loses control and crashes as a result of a mysterious accident. There are only 2 survivors out of the whole team, and it is up to them to find out with your help what is going on! You will control only two characters (survived team members). You have 15 characters to choose from, each of them has their own characteristics and features. The mission outcome will largely depend on your choice of two characters out of 15 members. At the very beginning, there will be only three people available for you, but, as you progress, the choice will increase. 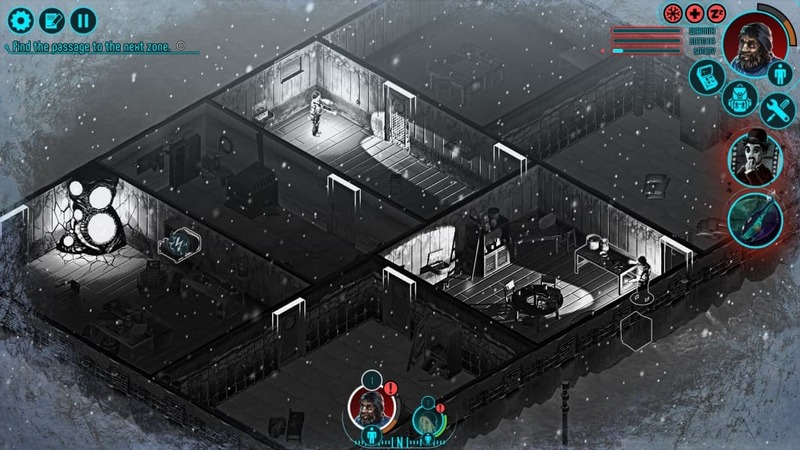 Combine different options to collect the optimal set of characteristics and survive in the bitter cold! From the first minute after their unsuccessful landing your characters will start freezing, getting tired and feeling hungry. Besides, they can get hurt, get sick or experience unpleasant feelings in the proximity of abnormal objects. All these factors influence the behavior of your characters, so you have to carefully monitor their characteristics and notifications on the screen. In addition, do not forget about the simplest ways to save lives, for example, to wear a jacket and to close windows to keep warm! 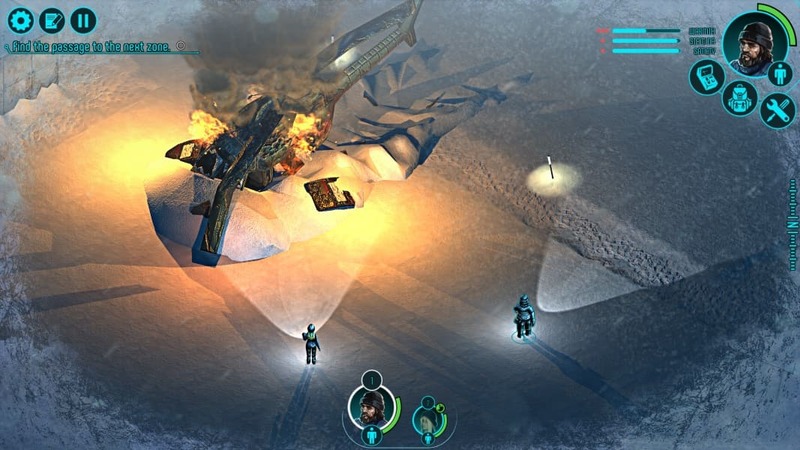 Do not be upset if the mission fails: Arctic cold weather, meagre resources, mysterious anomalies — this is just a short list of reasons that can end the life of game characters. The good news is that each new mission will not be the same as the previous one, because all levels are created randomly on the fly, so with every new attempt you get a new chance for success. Choose another characters, try different tactics, find other ways to stay alive — there are no people at this Arctic station, and it means that everything is in your hands! Distrust is an icy insanity! You think a game, it feels you cold. This is the game for you. It's a good relastic atmosfer and you need to take care your friends. I like it. Only the end of the game is very simple and It wasn't stunning. I really enjoyed the game! You begin with three characters available, out of which you can only take two (there's an achievement to unlock an extra spot and begin the game with three, but meanwhile you can also find characters on your run which you can rescue and they join your team). You can also unlock many different characters with different skills, so you have more choices later. It doesn't take too long to go through all areas, so you'll start unlocking new characters soon enough. I unlocked four new characters on my first run and I'm looking forward to start again and see if I can get a different ending. 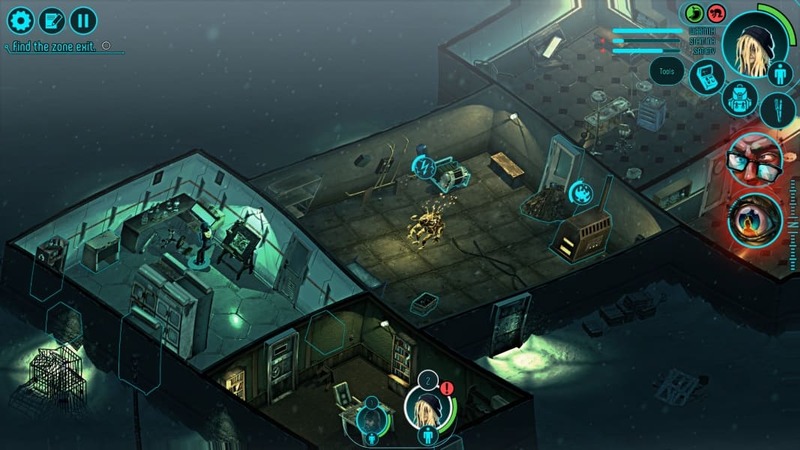 It reminds me of This War of Mine; the way you interact with objects is pretty much the same and it's also similar in the way the game makes you feel helpless and how things can go bad quickly, you can see your characters get worse and die slowly if you run out of food or can't find the medicine to heal that -otherwise insignificant- injury. The game has a great setting and atmosphere. It also has some bugs. The most annoying was the characters being stuck trying to go through a door, this happened quite a few times. I found other weird bugs on my first run. This is the reason I'm giving it only 4 stars. I really recommend the game. After completing it only once, there's still a lot to discover and look forward to try in future runs.